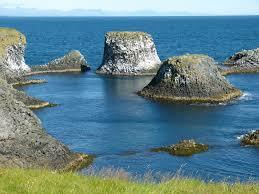 Cheap 4x4 Car Hire Iceland - Compare lower cost rental rates for SUV, MPV & minivans in Iceland. For cheaper car hire in Iceland, we can offer discounted rental rates with Dollar/Thrifty, Geysir and Sadcars, but the same quality cars and service, and look for the free Sat Nav offer from Dollar/Thrifty. Free amendments and cancellation (usually up to 48 hours before collection). All major car hire companies have desks inside the arrivals hall at Keflavik Airport. Also get vehicles at these airports:- Akureyri, Egilsstadir, Hofn, Keflavik, Isafjordur, Rejkjavik, Saudarkrokur and Vetsmannaeyjar. 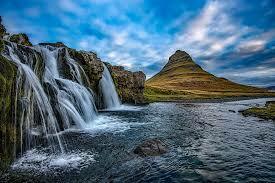 Iceland is a volcanic, mountainous island country that sits within the Atlantic Ocean. It provides alluring views of the glaciers and awe-inspiring scenery. 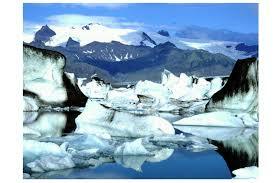 Although not a large plate of ice, glaciers do cover around 10% of the country itself, giving it the unique name. If you find yourself traveling north from Iceland's capital and major tourist hub and largest airport, Reykjavik, you will get to experience desolate landscapes and enjoy one of a kind experiences. Iceland's location near the Arctic Circle will provide both of these things in an abundance. Iceland and a few other Scandinavian countries are home to strange natural phenomenon, like the notorious 'Northern Lights' as well as being a place known as, 'The land of the midnight sun'. Here, the sun doesn't fully disappear before rising again. 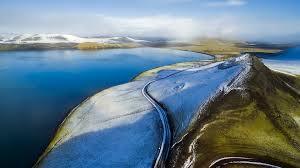 Set in the North Atlantic Ocean, Iceland presents you with more of a green car hire holiday than ice. You can drive over the island to view the many beautiful sights Iceland has to offer including: The Blue Lagoon, Domadulur Valley, Geysers and the Gullfoss Waterfall. Iceland Main Airports The main entry points to Iceland are Keflavik and Reykjavik airports. Keflavik Airport lies just minutes from the town of Reykjanesbaer and a forty minute drive by hire car to the capital capital Reykjavik. 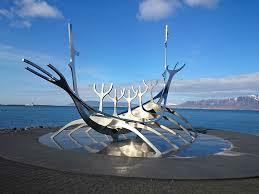 Compare car rental in Iceland. Icelandic car rental made easy. Minivans to rent to seat from 7 people. Volcano Watch:- The Katla volcano has been rumbling. Experts says, it could be the largest volcanic eruption for over one hundred years! With a crater over 6 miles wide and increased activity recently, the experts are expecting something to blow sooner or later! 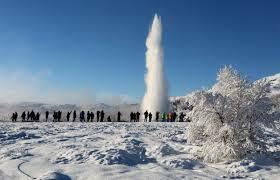 Check the official Iceland Tourism website for all the latest goings on.